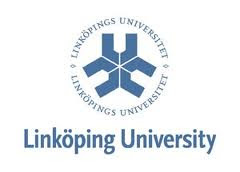 Linköping University , Sweden, ranked 5th best environmental university in the world, offers a broad spectrum of two-years master’s programmes within the fields of Engineering, Computer Sciences, Environmental Studies and Natural Sciences, such as Advanced Computer Graphics Applied Ethology and Animal Biology Biomedical Engineering Communication Electronics Communication Systems, etc. Students who have applied for a master’s programme at Linköping University through the online national application website universityadmissions.se, and who have chosen a programme at Linköping University as their first priority (ranked as No.1 out of 4), and who are required to pay tuition fees. The scholarship is a tuition fee waiver of 50-100 %. This scholarship programme is not open for students from the following 12 countries: Bangladesh, Bolivia, Burkina Faso, Cambodia, Ethiopia, Kenya, Mali, Mozambique, Rwanda, Tanzania, Uganda and Zambia. Students from these countries may apply for a Swedish Institute Scholarship. Demikian kami sampaikan tentang Scholarships for Master’s Studies at Linköping University semoga informasi tentang Scholarships for Master’s Studies at Linköping University ini bermanfaat.